Victaulic’s system solutions for joining high-density polyethylene (HDPE) proved to be key in the ahead-of-schedule completion of buried heating and cooling water piping at the Four Seasons’ new Residences at Napa Valley. Not your everyday hotel, the Calistoga, California property includes individual farmhouse-style villas designed to maximize the experience of California wine country. 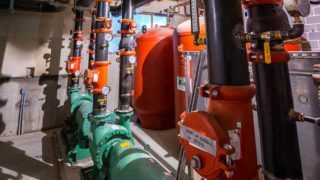 The multiple-building layout of the Residences at Napa Valley property required underground HDPE lines for cooling and heating water distribution, which run from a central utility plant to each residence throughout the property. Both insulated and non-insulated pipe were used in horizontal and vertical orientations for the 5,000 foot HDPE portion of the project and Victaulic® solutions, including fittings, couplings, and mechanical tees, were installed throughout the project in 2, 4, 6, and 8 inch sizes. Contractor Greenberry Industrial of Vacaville, California chose to use Victaulic’s products based on time and cost savings. Without Victaulic’s Refuse-to-Fuse HDPE technology, Greenberry would have added over 75% more labor for the installation of the HDPE systems. Less labor resulted in cost savings and a shortened project timeline. As an added bonus, Greenberry retained the ability to make pipe length changes onsite and enjoyed the confidence that comes with Victaulic’s “bolt pad-to-bolt pad” visual confirmation of correct installation. With less labor needed, Greenberry was able to reallocate workers to advance other portions of the project, allowing for reburial of the water lines and the pouring of building slabs ahead of schedule. 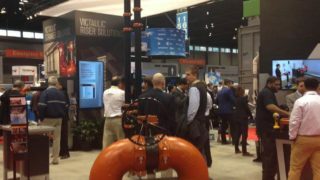 Victaulic’s technology makes HDPE pipe extremely easy to work with. The pipe can be joined very quickly and with minimal labor, resulting in huge savings. We are excited for future projects where we can use HDPE and Victaulic. More design engineers and contractors are turning to HDPE for major piping projects. 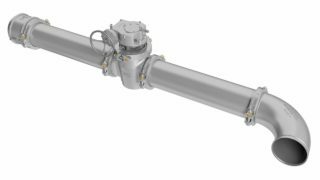 By using the simple, durable, and designed-to-be-buried Refuse-to-Fuse system, contractors can bypass the limitations of fusion and move forward on schedule regardless of weather. Without Victaulic’s solutions, installation of the Four Seasons project’s water distribution system would have consumed significantly more time and money. The demonstrated superiority of Victaulic’s mechanical solutions for HDPE on this job proves that Refuse-to-Fuse is THE joining system for all “four” seasons.